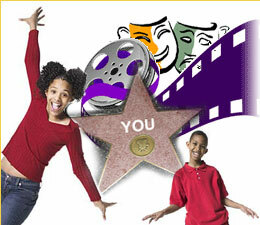 • "The Fresh Prince of Bel Air"
The students will get a chance to audition for professionals in the industry! • We also teach parents about the realities of having their child in the entertainment industry and how to best support their child’s dreams. Payment Plans & Fee Assistance Available. Private coaching available for an additional fee. All students must maintain a satisfactory citizenship and academic record at their local school. It is the mission of Real Kids Theater workshop to provide young people with an opportunity to produce plays of a professional quality, and to provide the community with an opportunity to enjoy live family-oriented dramatic shows.